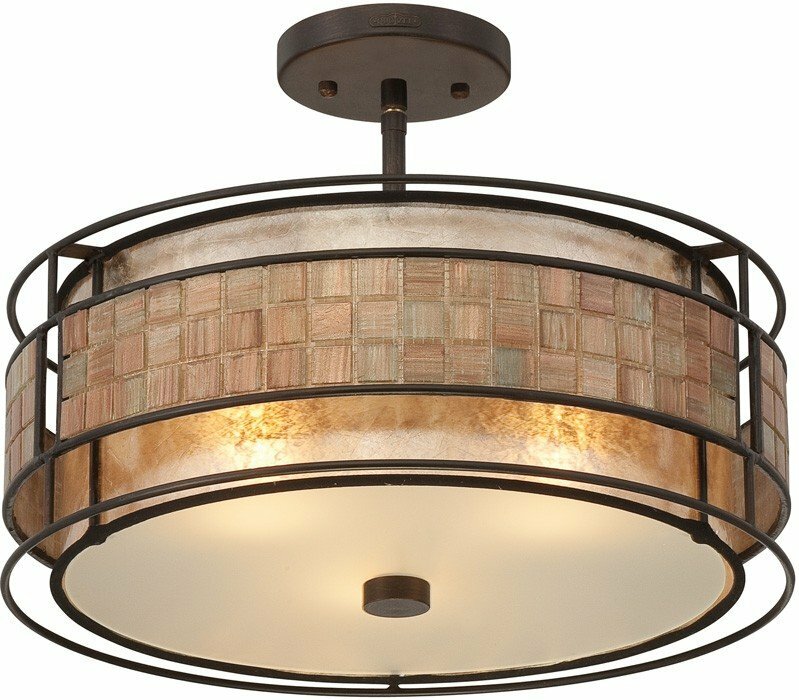 The Quoizel MC842SRC Laguna collection Close to Ceiling Lighting in Renaissance Copper uses Fluorescent light output and brings Contemporary style. This item is 12"H x 16"W x 16"L. The wattage is 60. 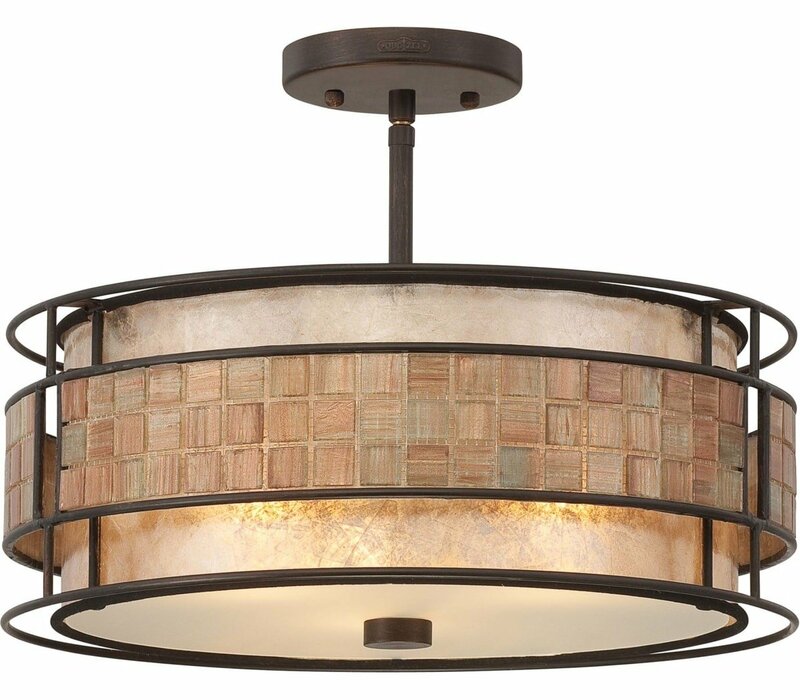 The Quoizel Lighting MC842SRC requires 3 bulbs (not included). 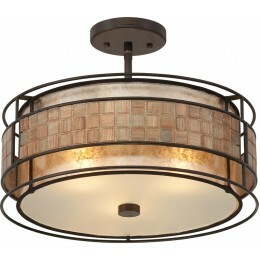 Additional Information: Shade-Oyster Mica And Mosaic Tile Shade.